Patients with acute dyspnea resulting from acute heart failure should be rapidly assessed and stabilized. First, patients should be put in a seated posture and, if necessary, supplemental oxygen and ventilatory support (noninvasive or invasive, see below) should be provided . After that, therapeutic aims should be focused on the correction of hemodynamic and intravascular volume abnormalities. Therapy has to be tailored to the individual situation, however, diuretics are the mainstay of therapy in the acute setting. Early intravenous vasodilator therapy is important for selected patients with the need of targeting systemic vascular resistance and left ventricular overload. This includes patients with severe hypertension, acute mitral regurgitation, or acute aortic regurgitation. The patient’s hemodynamic and volume status determines how aggressive diuretic and vasodilator therapy has to be initiated. 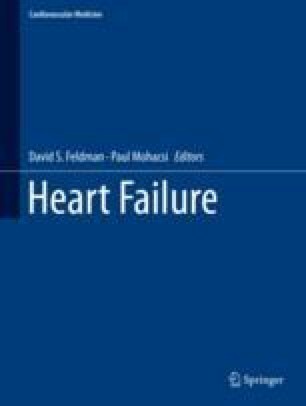 Acute heart failure therapy may be guided differentially in three stages of treatment: urgent/emergent care, hospitalization, and pre-discharge . Therapies can be necessary to be used during any of these stages and are discussed in the following in detail. Monitoring and diagnostics in acute heart failure are discussed above.